The Metropolitan Transit System announced Tuesday that it received an $18 million federal grant to buy buses for routes in the East County. The 45 buses to be purchased from Hayward-based Gillig will be powered by compressed natural gas, replacing older diesel models that have reached the end of their useful life due to age and mileage, according to the MTS. The agency, which operates buses through much of San Diego County along with three trolley lines, was one of 25 agencies that received grants from the U.S. Department of Transportation, out of 282 that applied. The new buses will also include on-board video surveillance inside and outside the vehicle, new wheelchair restraint systems, disk brakes, compressed natural gas tanks with 20-year lifespans and enhanced cooling systems. 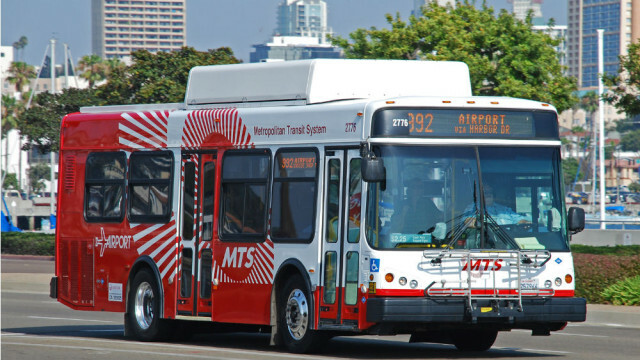 The MTS also announced plans for a $31 million expansion and modernization of its East County Bus Operations and Maintenance Facility in El Cajon. The facility will accommodate 120 buses serving East County and is expected to be complete by June 2016.